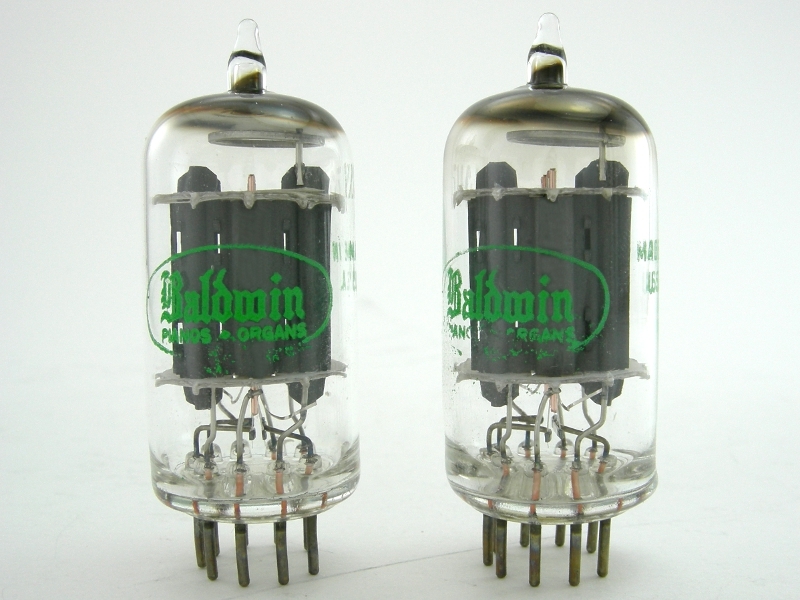 The 1960s Sylvania 12AU7A tubes in this precisely matched pair were made in the USA. They have halo getters and long gray plates with copper grid posts. See product options for current availability. Both tubes test as new with very low noise. They are matched for both transconductance (Gm) and current draw (mA). Tubes ship in new white boxes. These tubes are sold as a matched pair. Photo is a sample pair from the lot. Singles, when available, are listed as Item 102.